Lohman Gunsmith specializes in gun cleaning and is one of the few shops that can clean and inspect any firearm you have from the 1500's to present. We have years of experience cleaning all the different firearms you might own. 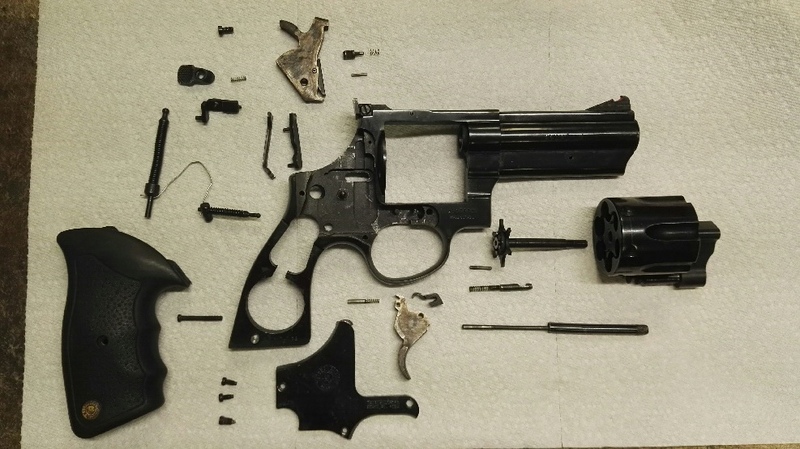 When we clean a gun we don't just throw it in a parts washer or sonic cleaner. 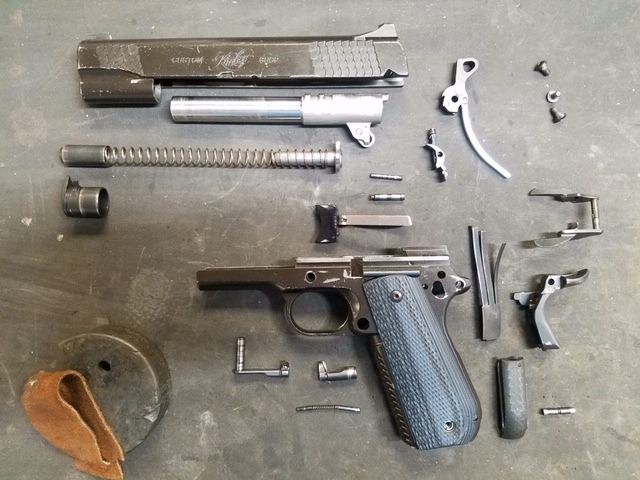 We carefully disassemble the firearm and pay special attention to ever part. We inspect each part for wear and tear. If we think a part needs to be replaces we will call you and let you know. I have a hunting trip coming up and can not wait 1-2 days. Can you get it done faster? Yes, but it will cost more to cut the line because we work from the oldest to the newest drop off dates. I have a Civil War gun I want clean. Can you do that? 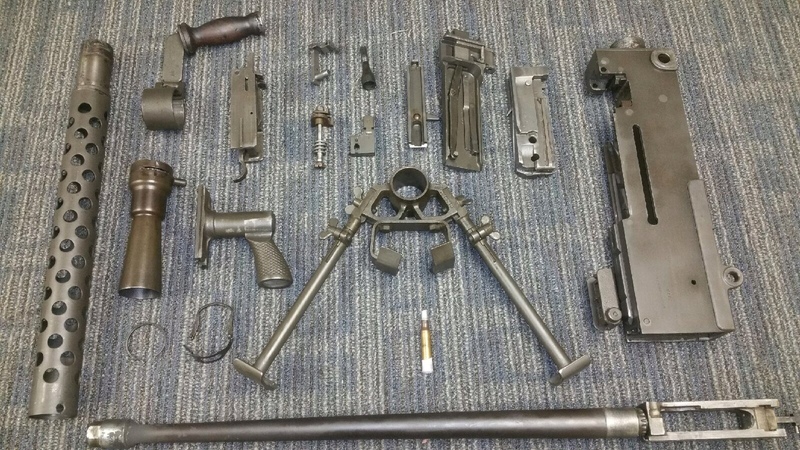 Yes we can clean and take apart any gun that goes boom! 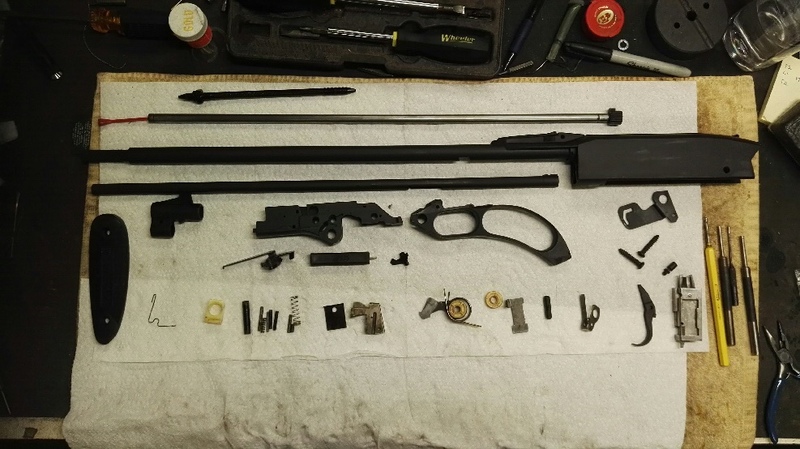 Do you completely take apart my gun to clean? 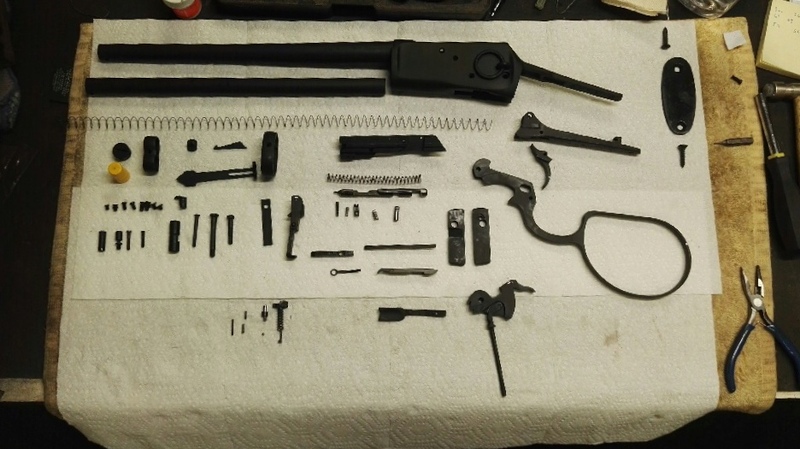 Yes we take every spring and screw off the firearm and inspect it and clean and oil it. The most basic bolt has 10 parts to it and we take all the parts off clean inspect, oil and put it back together.